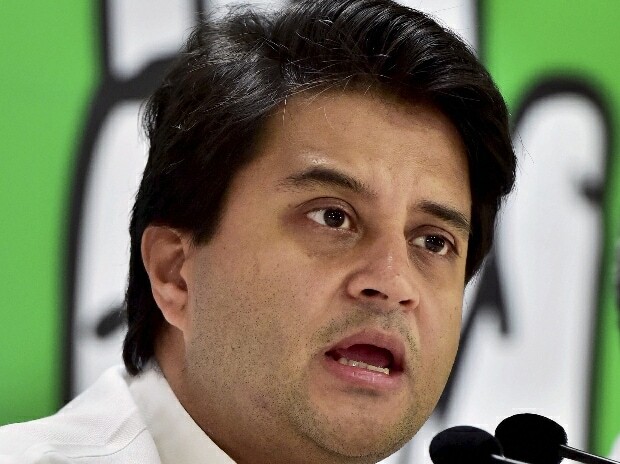 Police Monday arrested a 19-year-old son of a ruling BJP MLA in Damoh district for allegedly threatening to kill Congress leader Jyotiraditya Scindia through a social media post, an official said. "The FIR was lodged by some Congress leaders after they came across the post allegedly posted by Princedeep on Facebook, following which he was arrested," said Hata police station in-charge Dharmendra Singh. The post shared on Facebook read, "Jyotiraditya Scindia, you have Jiwajirao's blood running in your veins, who killed Jhansi ki, Rani. If you step in Hatta then I will shoot you. Either you will die or I will. Jyotiraditya Scindia slammed BJP and Madhya Pradesh Chief Minister Shivraj Singh Chouhan after one of the ruling party MLA's son threatened to shoot him. "The mentality of the BJP leaders and real face of the party have been exposed with this threat," Scindia told ANI. He further said, "The main objective of the party and Chief Minister Shivraj Singh Chauhan is to demolish Congress at any cost." Making it clear that such a threat will never throw him or his family into a panic, Scindia stated, "I would like to tell them that the Scindia scion never bowed down to such threats and will never do that as well." Condemning the post, former Madhya Pradesh chief minister Digvijay Singh said the incident showed the "real face" of the BJP and RSS. State unit Congress spokesman Pankaj Chaturvedi demanded that the government strengthen Scindia's security if needed.